There was a time when I believed asking or accepting help was a form of weakness. I was to put on a brave face despite my inner turmoils I would suffer and reveal to the world how much of a strong ‘Black’ woman I was. I had to hold it down for my race and gender. My strength was a representation of every Black female out into the world. Never really having my own identity. And let me tell you…that really sucked! Like really, who’s bright idea was it to choose suffering as a sign of strength that should be copied and mimicked? Especially within the Black race in America. America is the best county in the world and yet many of us don’t take full advantage of the opportunities allotted to the occupiers of the land. The freedoms and liberties are abundant in comparison to other countries where oppression and suppression are as high as a drug addict in a dope house. For a place to be known as the land of the free and home of the brave, there are a lot of slaves and cowards going about their days without ever tapping into their greatness. Albert Einstein once said, you cannot solve a problem with the same mind that created it. It is no surprise pride is listed as the first deadliest sin (missing the mark). Pride is the wall between sameness and change. With pride comes a need for being right and as long as one feels a sense of rightness their circumstances can never change. Why should it? Pride states ‘nothing is wrong on my end.’ Therefore, there is no change required on my part. Pride is stagnating and serves as an anchor holding us in place where we are most unsatisfied with the results life presents to us. The Bible warns us about pride in Proverbs 13:10 “Through pride and presumption come nothing but strife, but [skillful and godly] wisdom is with those who welcome [well-advised] counsel. I have come across many individuals who are so prideful in their ways they continue to find themselves in the same type of relationships with the only difference being the face behind the actions. So instead of going within to determine what type of energy they are emitting out into the universe, they find themselves going from one relationship to another in hopes the next one will be better without first bettering themselves. Only to experience disappointment after disappointment. Always believing the other individual is not only at fault but also responsible for their thoughts, actions and volition. Until one acknowledges there’s more to life than what’s currently known, pride will always get the best of them keeping them cemented in their misery. The second type are those in denial. You know those who suppresses their feelings and put on their “brave” face and when asked how things are going they respond how great things are. Knowing damn well life for them is everything but great. Instead of facing any issues they may have and dealing with the emotional sensations coursing through the body, they attempt to avoid it. Only to have it manifest in other ways emotionally. Hurt turns into anger. Rejection forms as abandonment. Sadness takes shape as bitterness. 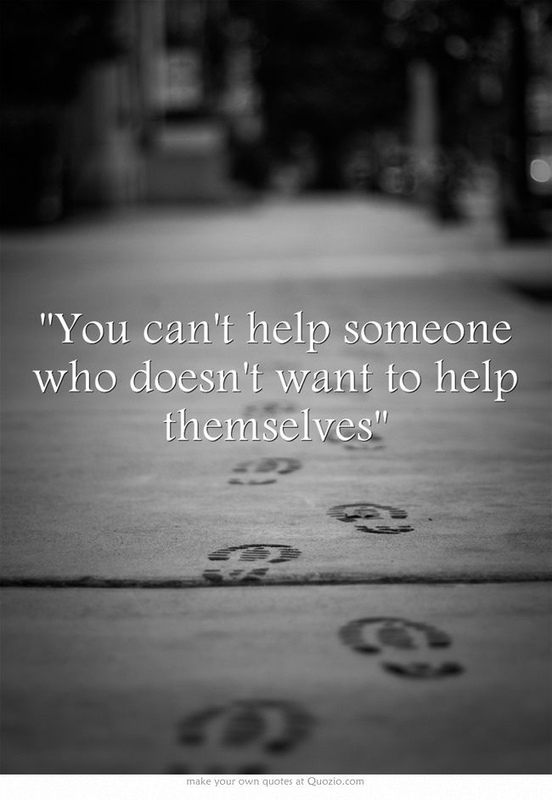 Individuals who are in denial cannot be helped as long as they are avoiding the problem. Excuse makers can be found never having time for self improvement; the ‘problem’ isn’t their own but somebody else’s; or they find a problem with every solution without any attempt of trying out the solution for themselves. Excuse makers believes there are outward forces against them. Making sure they fail at obtaining happiness. From man (police, the “White man”, the government), to the system, to God , to the universe they can never catch a break. The stubborn suffers knows better but refuses to do better. They acknowledge work and effort is needed on their part but are resistant to commitment and action. Set in their ways they live in a never ending cycle of same actions and with results of undesirable outcomes. While they aren’t blaming others they do nothing for themselves to make their lives better. They are comfortable with scraps of happiness. I find the stubborn sufferers lazy and lackadaisical towards change. Wanting fruits for labor not put forth they rely on others for any hint of contentment. Hoping one day they’ll catch a break and things will magically turn around for them. Another thing you’ll find with stubborn sufferers is that although they may desire help, they may not want it from you. I see this often in relationships. Whether the relationship is romantic, family, friendship or work, the stubborn sufferers wants what they want from a specific individual. And if that individual is unable to come through they will reject any assistance offered by another. Unlike those in denial, the pretender hides behind a mask in public but when behind closed doors are engulfed in misery. Those who are in domestically violent relationships are pretenders. From the battered spouse to the bully on the streets neither are showing their true selves — battered and in need of healing. Because pretenders hides behind a false self, unless one knows the signs, they can appear as someone else. For the battered spouse it can be timid or shy due to a lack of eye contact and for the bully, mean and intimidating. What’s often overlooked are the root cause for their behaviors. Many times all one sees are the actions. Never taking into account the underlying causes. This being the case unfitting labels are placed on them instead of focusing on their emotional and spiritual state of being. As this is done a new set of problems arises within them. Not only are they dealing with the original problems they now have gained a whole new set based on the labels society has placed. Pretenders cannot be helped due to their fear of being judged as weak or stupid. Even worse have their abuser suffer consequences that gets their loved ones in trouble. In other words, they don’t want the abuser to disappear out of their lives they just want the pain to end. Individuals with the victimhood mentality are products of their environment. They are led to believe their poverty status are the result of the richer class holding them down for control and back from success. It is their belief they should be able to behave in any manner they choose with restrictions on how who they affect reacts. Similar to the Excuse Maker, everyone and everything holds fault for the outcome of their experiences. These individuals holds a sense of entitlement where everything desired should be handed to them based on them being them. Whether it’s the color of the body’s largest organ (the skin), gender, sexual orientation, demographic or race, they are entitled just because. The victimhood mentality does not hold the capacity for self empowerment or improvements. They go against the very nature of victimhood. Individuals such as these are unable to be helped due to their level of consciousness. They see themselves as someone without control, charge and power. Therefore, they are not the source of their problems. Chronic complainers can be the most challenging. In that their desire isn’t for change but an emotional connection. They just want to be heard. All they want is an ear. This can become emotionally draining — Unless you’re a psychologist/psychiatrist. They actually get paid to listen. Unfortunately, the majority of us don’t. Chronic complainers loves drama and venting about the drama they either caused upon themselves or allow. They are addicted the the chemicals associated with frustration, anger, sadness, etc. It’s what makes them feel alive. Solutions are rejected as they insist on focusing squarely on the issue and its affects. Making help unattainable. By recognizing, acknowledging and accepting you will not be able to help those you desire will save from a lot of frustration in the end. Instead trust in and rely on God to place in your direct path those who will benefit from your help, kindness, understanding and love.